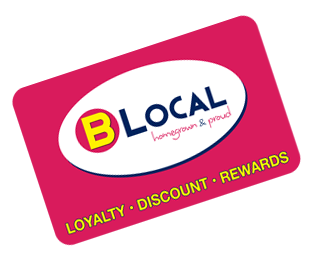 Running your B Local loyalty system could not be easier. After you sign up, your partner pack will be delivered within a few days. This includes 200 NFC B Local loyalty cards and your POS mobile device. Simply hand out cards to new customers as they transact – signing them up takes a minute. After each transaction is captured in the mobile device the B Local engine takes over, awarding points and automatically issuing the rewards you’ve set up for your customers. You decide how many points to award per transaction and how many points are required for the rewards you choose to give your customers. With fast delivery and your package containing everything you need, we’ll assist you in the setup process and get your loyalty program up and running in no time.